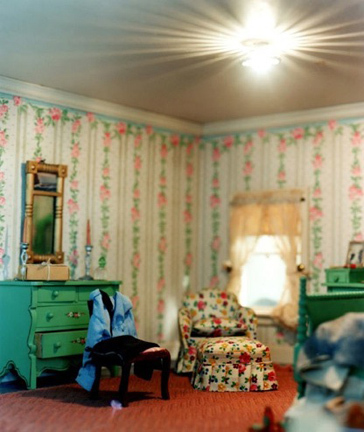 Corinne May Botz photographs dollhouse-sized models of crime scenes created by the female criminologist Frances Glessner Lee in the 1940s and 50s. 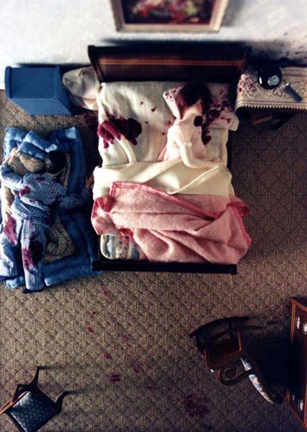 Based on real murder cases, the models were used to train detectives to assess visual evidence. Lee had a complex relationship to the cultural and domestic expectations of women of her time; she practiced the feminine tradition of working in miniatures but enjoyed the atypical status of being the first female police captain appointed in the United States. Botz’s photographs capture Glessner’s scenes of psychological drama and physical violence set in domestic spaces that simultaneously recall romantic and dystopian notions of home and family life. 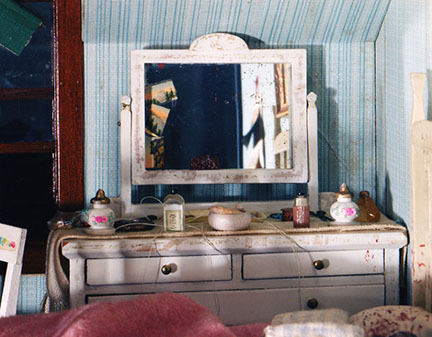 Through transforming the three-dimensional dioramas into two-dimensional images and through freely mixing photographs of different rooms, Botz’s selectively framed scenes prevent the investigation of facts–as training detectives would have used Glessner’s models–but rather encourage the viewer to imagine fictional narratives. Corinne May Botz completed a BFA in Photography at the Maryland Institute College of Art, Baltimore, MD (1999), and an MFA in Photography at the Milton Avery School of the Arts, Bard College, Annandale-on-Hudson, NY (2006). 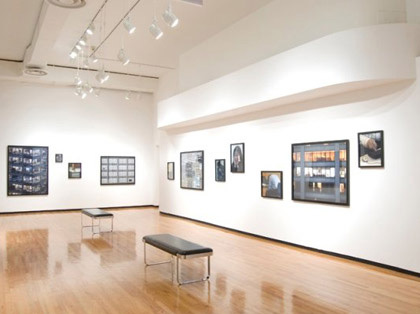 Her work has been exhibited nationally and internationally, including solo exhibitions at RMZ Gallery, Frankfurt, Germany (2011); California State University, Sacramento, CA (2011); John Jay College of Criminal Justice, City University of New York, NY (2009); Glessner House Museum, Chicago, IL (2005); and Bellwether Gallery, New York, NY (2004). She is the recipient of several awards, including a Workspace Artist Residency, Lower Manhattan Cultural Council, New York, NY (2008-2009); and an Akademie Schloss Solitude Fellowship, Stuttgart, Germany (2008-2009). Her monographs include Haunted Houses (2010) and The Nutshell Studies of Unexplained Death (2004). Botz is on faculty at several schools in New York City, including Cooper Union; the International Center of Photography; the School of Visual Arts; and John Jay College of Criminal Justice, City University of New York.